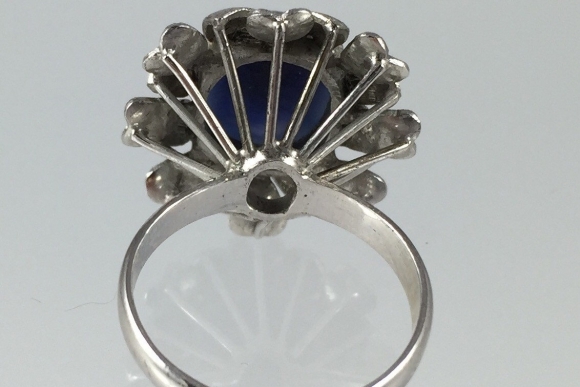 This beautiful vintage ring in 18K white gold is set with a blue created Star Sapphire which measures 11mm by 9.5mm and has an estimated weight of 7 carats. 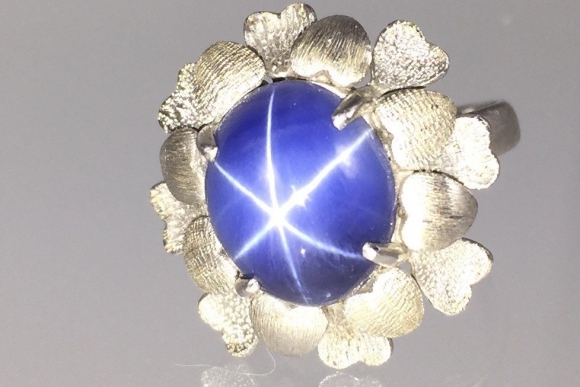 The sapphire is a vivid blue and the star is strong as is typical of lab created star sapphires. 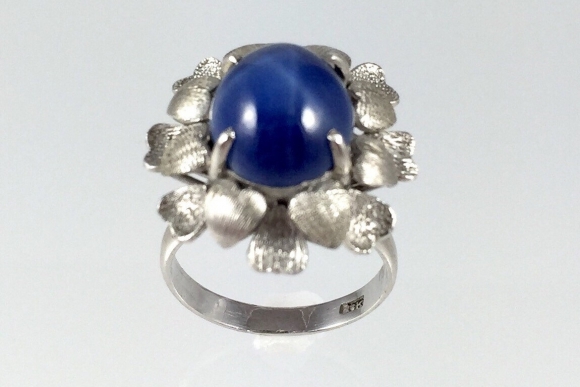 The exquisite setting is composed of brushed heart shaped petals surrounding the sapphire. 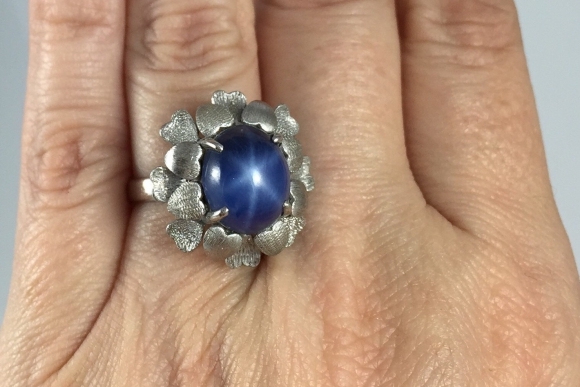 I purchased this ring directly from an estate and talked to the heir of this ring. His parents were missionaries and lived in Japan in the 1950s and purchased this ring there. 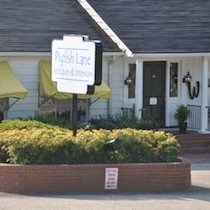 It is rare to get this kind of personal provenance when purchasing estate jewelry. 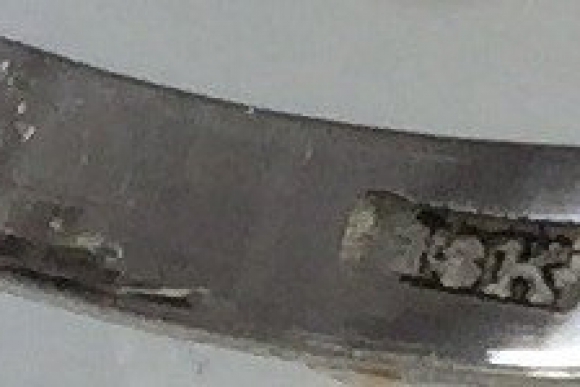 The top of the ring measures about 7/8 by 3/4. The ring is a size 6 1/4 and may be sized to fit perfectly. Very good condition. Circa 1950s.